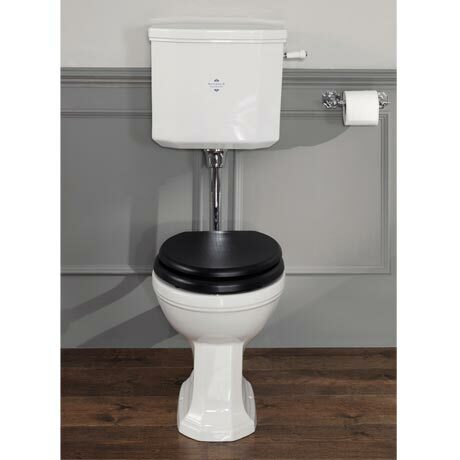 A classic Empire Art Deco Low Level Toilet from Silverdale Bathrooms, this stunning Art Deco influenced toilet features bold, clean and distinctive lines. Comes with a lifetime guarantee against manufacturing defects. Each individual piece of sanitary ware has been carefully considered in its design, being based on authentic original pieces. Available with either chrome, polished nickel or incalux (Gold) luxury flush pipe & cistern lever.